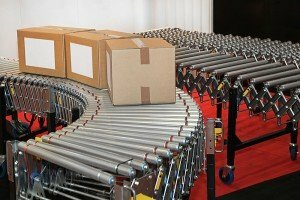 A new article at Logistics Management outlines some significant changes to how shipments are rated and priced. This year, UPS and FedEx have begun billing ALL ground shipments based on dimensional weight. Some experts are also predicting that shippers will soon be asked to disclose freight dimensions on all LTL bills of lading. Contracted discounts and FAK exception rates are driving carriers to renegotiate pricing to more accurately reflect the associated costs of moving shippers’ freight. These significant billing changes will undoubtedly cause confusion and leave a great deal of room for error, particularly as the “kinks” are being worked out of carriers’ systems. Carriers are switching to completely automated devices to weigh and measure packages and taking humans completely out of the equation in terms of measuring density; unfortunately, machines make errors. Furthermore, if a carrier transfers shipper-loaded products to another trailer for a long haul, it is in the carrier’s best interest to load the product efficiently, even if the shipper did not load efficiently in the first place. Some carriers incorrectly base charges on the shipper-loaded dimensions in a city trailer, rather than the dimensions the shipment actually occupies in the linehaul trailer. How will you know if the appropriate dimensions are being used? Will you be able to tell if errors were made in calculating your shipment’s density? Will your new pricing be complicated to interpret and apply? What other “kinks” will need to be worked out of carriers’ billing system? This new rating method raises many questions. AMTR can help you to discover how dimensional pricing is affecting you, recover any overcharges caused by these changes, and educate you on what you can do to prevent some of these errors from occurring in the future.